Sweden’s diplomacy -- centered on neutrality, peace and humanitarianism -- has won plaudits the world over. Some pundits say it goes deeper than other Nordic nations’ individual commitments. As the two Koreas step up their efforts to achieve reconciliation and advance cooperation, Sweden can play a special role as an honest broker and authority on disarmament and nonproliferation, according to the country’s top envoy here. Hallgren started his ambassadorship -- his first -- here in September. 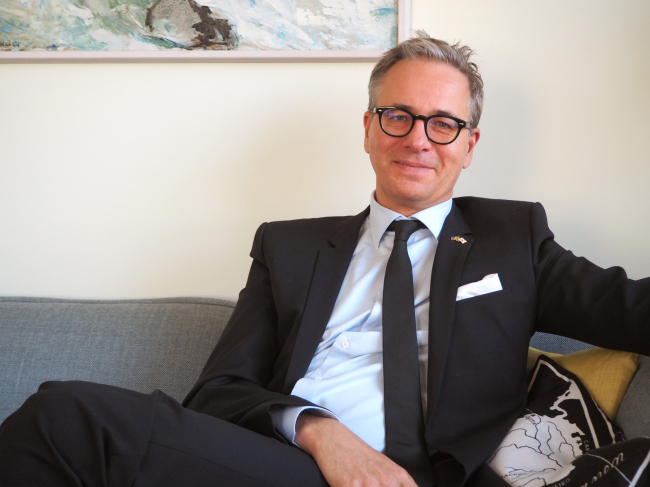 He served as the deputy director of the Stockholm International Peace Research Institute from 2012 to 2018, and as head of the humanitarian division and the division for conflict issues at Sweden’s Ministry of Foreign Affairs. He has worked closely with the European Union, the United Nations and various other international organizations in conflict mediation, peace-building, security-systems reform, disarmament, humanitarian operations and disaster-risk reduction. Sweden is the first Western nation to establish diplomatic relations with North Korea, having done so in 1973, and to set up an embassy in Pyongyang in 1975. On the strength of its credibility, Sweden has often brokered diplomacy between the North and the West. 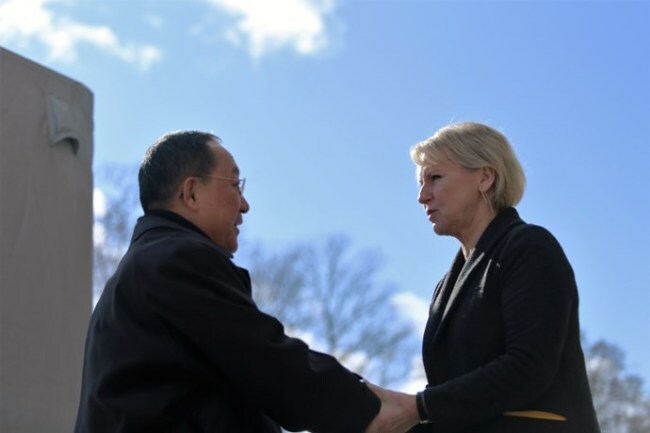 The meeting between North Korean Foreign Minister Ri Yong-ho and his Swedish counterpart, Margot Wallstrom, in Stockholm in mid-March led to the release in May of three American prisoners formerly held by the communist state. Through its Pyongyang embassy, Sweden represents the consular interests of the US, Australia, Canada and the Nordic countries. The country is also a member of the Neutral Nations Supervisory Commission, an agency created out of the Korean War Armistice of 1953 and tasked with overseeing the truce mechanism’s implementation through inspection and investigation. Five Swedish military officers led by a general or admiral along with five Swiss representatives are stationed near Panmunjom. Their main task is to ensure that the cease-fire is enforced through their physical presence and monitoring. The promotion of detente and security in the JSA also falls under the scope of the NNSC’s activities. On Sept. 22, Sweden and Switzerland expressed their willingness to send a team of experts, upon request, to inspect North Korea’s nuclear and missile-testing sites. “Sweden has a long history of collaboration with the International Atomic Energy Agency,” he said, mentioning former Swedish Foreign Minister Hans Blix, who headed the agency from 1981-97 and was in charge of inspecting Iraq’s alleged weapons of mass destruction before the 2003 invasion. Blix’s team found no evidence of WMDs in Iraq. Hallgren also pointed to Swedish diplomat Rolf Ekeus -- a representative to the Conference on Disarmament in Geneva who has worked with various disarmament committees and commissions. 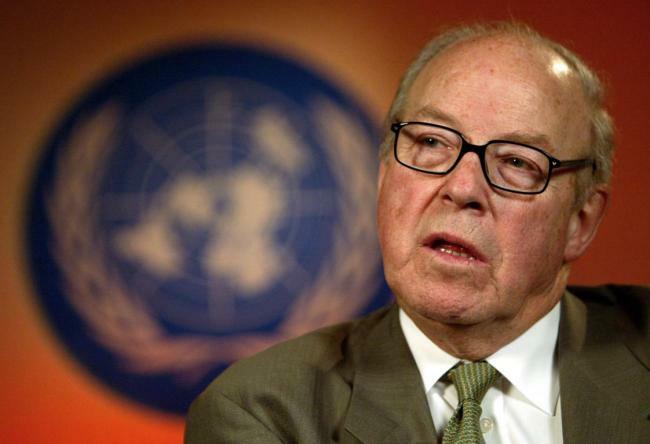 Ekeus directed the UN Special Commission on Iraq from 1991-97 as well as UN disarmament observers in Iraq after the Gulf War. In 2002, Ekeus told Swedish daily newspaper Svenska Dagbladet that he had resisted attempts by Washington to use the commission to perform espionage in Iraq. From 1945 to 1972, the Swedish government ran a clandestine nuclear weapons program under the guise of civilian defense research to counter the Soviet threat. The program was abandoned in 1966 following a nationwide protest and debate, and Sweden signed the Non-Proliferation Treaty in 1968, eventually terminating the program in 1972. 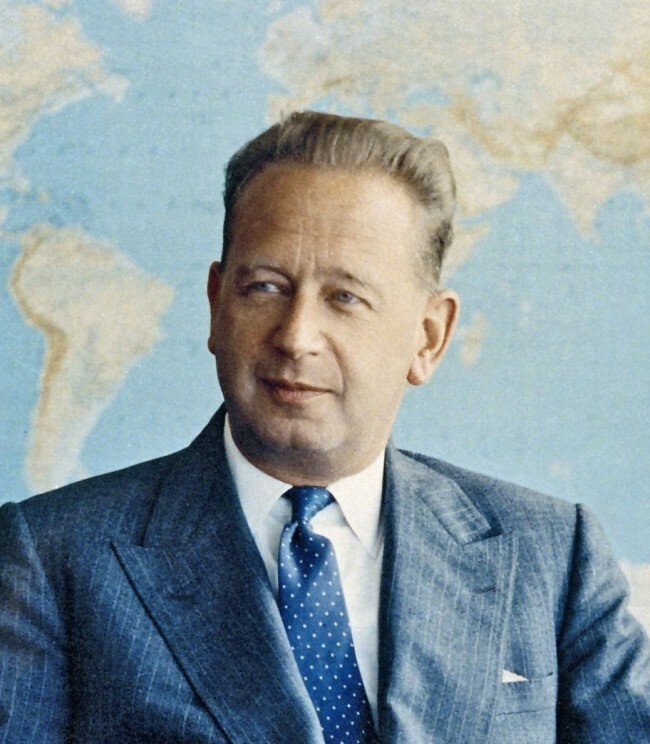 Late Swedish economist and diplomat Dag Hjalmar Agne Carl Hammarskjold was the UN’s second secretary-general. Stockholm and Seoul will celebrate 60 years of diplomatic relations next year. The first Swedes came to Busan on Sept. 23, 1950, to set up a field hospital, and ever since, Swedish officials and businesspeople have been in South Korea through various channels. Hallgren explained that Sweden’s comprehensive reforms in the early 1990s were intended to promote globalization and a move up the value chain, while pruning welfare services. Currently, some 40 percent of the Swedish gross domestic product comes from international trade, and exports and imports are equally important, he added.